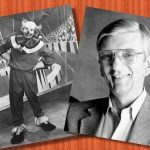 Roger Erickson, WCCO’s Bozo the Clown has died. 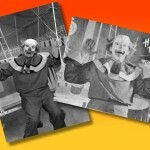 A Bozo the Clown “trading card” that probably dates from about 1960. 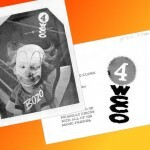 A Bozo the Clown “trading card” that probably dates from about 1961. The back of the Bozo the Clown “trading card” that probably dates from about 1961. The back of the Bozo the Clown “trading card” that probably dates from about 1961.